Netflix (NFLX) is having a hard time keeping up with its past. Shares of the video service provider tumbled on Tuesday night after posting disappointing domestic subscriber numbers in its latest quarter. Netflix closed out its September quarter with 25.1 million stateside streaming accounts. That may be 20% ahead of where it was last year, but it's at the low end of its earlier guidance which called for 24.9 million to 25.7 million accounts. Things held up better elsewhere. 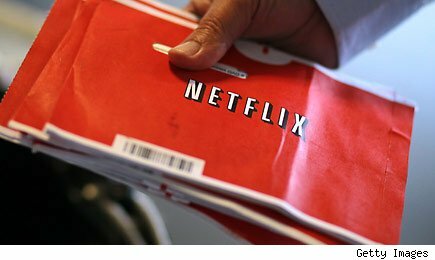 Netflix's 4.3 million international streaming customers and 8.6 million DVD-based renters actually clocked in at the high end of its summertime range. However, since domestic streaming is clearly where the company's focus is these days, it's certainly problematic. Are folks just not sticking around or is it having a hard time lining up new trial signups? In an interesting comment in the last night's letter to shareholders, Netflix explains that "voluntary churn" is actually the lowest that it's ever been. It is "involuntary churn" that's a problem. That basically means that as the service reaches out to lower-income households to grow its audience, its finding that many of them just don't have the $7.99 a month to justify a Netflix subscription. • It isn't all bad news among the dot-com bellwethers. Facebook (FB) posted encouraging results in its second quarterly report since going public back in May. Revenue and earnings were essentially in line with expectations, but the market is encouraged to see a 36% pop in advertising revenue. Skeptics have been wondering if the company can monetize mobile usage as more members rely on smartphones and tablets to surf the social networking website. Cynics may have no choice but to click the "like" button here after seeing Facebook's success in growing its ad revenue. • Sirius XM Radio (SIRI) will need to drum up a new CEO. The satellite radio giant revealed that Mel Karmazin will step down as CEO in February. There was speculation that this would happen. Karmazin even lobbied against himself by arguing that he has been historically expensive to keep around. As the mastermind of the merger that united Sirius and XM, steering the media giant to profitability, he won't be easy to replace. Motley Fool contributor Rick Munarriz does not own shares in any of the stocks in this article, except for Netflix. The Motley Fool owns shares of Netflix and Facebook. The Motley Fool has bought calls on Facebook. Motley Fool newsletter services have recommended buying shares of Facebook and Netflix and recommended creating a bear put ladder position in Netflix.